I have been quiet for the past week or so – enjoying time with the family and Christmas! Looking back at the end of the year and the title says it all. It is a year we hope not to repeat. But there have been some good bits. I have a far better job. And I achieved my small target for stats. Hit the 20,000 views for this year. While this is small fry compared to others – it was good for me. Anyway – I have already posted about my future plans for the blog. The end of the year brings about other reflections. I remember that 2016 was pretty brutal for taking our celebrities. (Ours? Are they ours? Wonder what made me type that?). Looking at the list for this year it seems little better – though many of them did not get as much publicity. One, in particular, caught my eye. I only found this out yesterday though it happened earlier in the year. This was Frank Delaney. 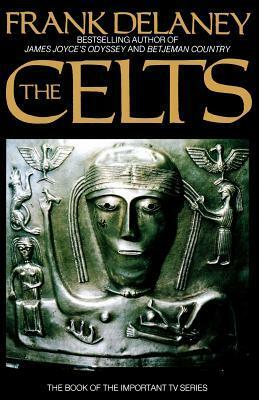 It was Frank Delaney who really fired up an interest I already had in ancient Celts – with his series “The Celts” and his book “The Legends of the Celts.” It led to a lifelong passion for the subject. The version of the book I have. I can highly recommend both of these works – especially if first delving into the subject. They are very accessible, the first of what has become “popular history” books. The series also introduced me to the work of Enya – who composed and performed the soundtrack to the series. The original cover of the Album that was the soundtrack to Frank Delaney’s series. Before Enya hit the really big time and it got a makeover. Somewhere (probably in the loft) I still own this version. On cassette! It’s a shame his passing didn’t get more recognition – it is a great loss. So looking forward – here’s to a better new year for everyone. Happy New Year! ← My dark dystopian vision is starting to look like a brighter alternative!